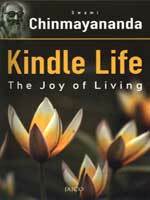 Pujya Gurudev Swami Chinmayananda, in Kindle Live initiates the novice into the essentials of a higher, value-based life. A preliminary text of Vedantic Studies, this works lays a very good foundation for all advanced studies. Full of guidance for right living, the book inspires every reader to pursue true spirituality.